All people need a paid family and medical leave program that covers the variety of reasons people need time away from work to care for their families. Comprehensive paid family and medical leave not only helps workers care for their families but keeps them in the labor force, thus boosting the entire U.S. economy. A persistent partisan divide among lawmakers at the federal level, however, has stalled any opportunity for progress. Paid family and medical leave opponents in Congress reject calls for a comprehensive federal program and instead argue for lesser, voluntary measures. Amid this stalemate, the push for paid family and medical leave took on new energy when, for the first time, both of the major party candidates in the 2016 presidential election put forward their version of a paid leave plan. The Clinton plan proposed a national paid family and medical leave program, but the Trump plan was narrower, proposing a plan to offer solely paid maternity leave and no other types of paid leave.2 The narrower Trump proposal, which post-inauguration was modified into a paid parental leave proposal, reinforced the frequent narrative around paid family leave: It focused the most attention on the needs of new parents and less attention on other caregiving concerns, such as caring for an aging parent or ill spouse. Most workers in the United States take family and medical leave to care for a sick family member or oneself;3 the elevation of parental leave deprioritizes and ignores workers’ most common caregiving needs. Everyone will require care at some point during their life besides when they are first born. Aging people, for example, usually receive care from a child, spouse, or another family member who often needs to balance their work and their caregiving responsibilities. A paid family and medical leave program that in actuality only covers parental leave is insufficiently comprehensive to help American families as well as the overall economy. In a 2016 report, “The Cost of Work-Family Inaction,” the Center for American Progress found that the lost wages from lack of access to paid time off cost the American economy $20.6 billion per year.4 This report follows up on those findings, using new data analysis to determine that access to universal paid leave under California’s long-standing paid leave program significantly increased the labor force participation of those who were caring for family members. Specifically, we found an 8 percent increase in labor force participation in the short run and a 14 percent increase in labor force participation in the long run.5 This finding is significant because individuals who experience increased and sustained labor force participation can maintain their income and see more wage growth over their lifetime.6 Higher labor force participation is also an indicator of a stronger labor market, with more opportunities for workers. Any paid leave plan that does not address the myriad reasons other than maternity leave that require workers to take time away from work will fall short of addressing both families’ needs as well as the potential economic benefits of a comprehensive program. Of those covered by the FMLA, some may receive some pay while on leave, usually through paid vacation, sick leave, or other paid time off. But rates of pay drop for leaves longer than 10 days, since sick leave is generally full wage replacement and paid family and medical leave is typically partial wage replacement. Paid family and medical leave programs usually provide longer periods of leave beyond what is covered through access to paid sick leave, which may be used to cover short-term leaves. However, while the FMLA guarantees the ability to take time off to care for a family member, dependent on working hours and employer size, it does not guarantee pay for time off. According to analysis of the U.S. Bureau of Labor Statistics’ National Compensation Survey,10 only 14 percent of workers had access to paid family and medical leave in 2016. 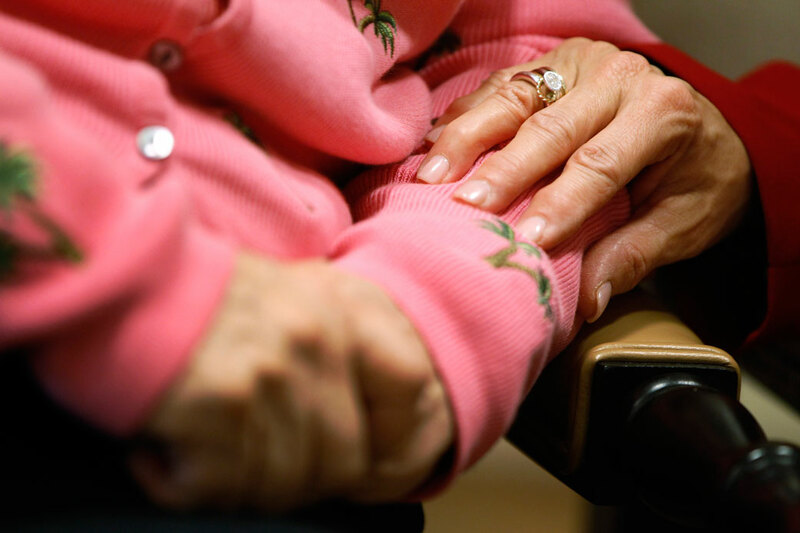 A statewide program guaranteeing paid time off for family caregiving only currently exists in three states: California, Rhode Island, and New Jersey. Other states—including New York and Washington—have passed paid leave plans that have not gone into effect. Without broader adoption of a national paid leave program, many will continue to struggle to balance work with caregiving responsibilities and, furthermore, the economy will lose out on earnings and decreased labor force participation. Everyone requires care at some point in their life—often from family members or close friends who may need to take time off from work to meet these caregiving needs. Seventy percent of people turning age 65 can expect to need some form of medium- to long-term care during their lives that would require a family member to take leave from work beyond what would be covered by paid sick time off.11 About 80 percent of care at home is provided by unpaid caregivers—mostly women—and may include emotional, financial, nursing, social, and homemaking, as well as other personal services or tasks.12 As the U.S. population ages, more and more workers will become involved in providing unpaid care. Paid family leave, to the extent that it allows workers to remain in the labor force while caring for aging relatives, can boost labor force participation and employment rates. A survey of 7,660 people by the AARP and the National Alliance for Caregiving14 found that 18.2 percent of respondents reported being caregivers for someone else, with 85 percent of those respondents receiving care being a relative of the person who is giving care. According to the survey, 60 percent of caregivers are also employed, and a little more than half of employed caregivers are working full time. These caregivers provide a crucial service to both their family members as well as society. In order to balance caregiving responsibilities with workplace security, however, workers need policies that allow them to manage the time for both and take leave from work for intensive caregiving needs. The FMLA grants many employees access to unpaid family and medical leave, but most workers could not afford to take unpaid time off for family caregiving without some guaranteed replacement income. As a result, many employees are often forced into untenable situations that can jeopardize their family stability. Some workers may need to work an excessive combination of paid formal employment hours and unpaid family caregiving hours or withdraw from the labor force entirely in order to address intensive caregiving needs. Still, other workers may need to cut their hours—and potentially reduce their income—due to time constraints from caregiving responsibilities. Too often, the public narrative ignores the many other reasons besides caring for a new child that require workers to take leave from their jobs. According to the U.S. Department of Labor,15 new children account for 21 percent of FMLA-type leaves. More than half of FMLA-type leaves—55 percent—are taken by individuals who need to address their own illness. But another significant portion, 18 percent, are taken to care for a parent, spouse, or child—other than a new child.16 A comprehensive paid family and medical leave program, therefore, must address the full scope of workers’ caregiving needs. These studies have shown the benefits to mothers and young families. The majority of workers who take leave, however, are not new parents, but rather they are workers who take time off to care for a sick child, spouse, parent, or other family member, as well as those who take time off to care for themselves during an illness. This report looks at the effect of California’s paid leave policy on the labor market outcomes for those who are providing unpaid care or assistance to a family member or a friend who has a long-term illness or disability. As our care needs increase across the country with an aging population, it is important to understand how comprehensive paid family leave benefits the entire economy by allowing workers to take time off while continuing to earn income and maintain their attachment to the labor force. To understand the importance of a comprehensive paid family and medical leave policy that provides for family caregivers as well, we compare the labor force participation of those who currently provide unpaid care to a family member with the rates of participation of those who did so before the policy. We refer to those who are giving unpaid care to others as family caregivers. Labor force participation includes both workers who are employed and individuals who are unemployed but looking for work. Most unpaid care providers have an associate degree or higher-level educational degree. This overrepresentation of higher educated workers probably reflects the fact that better educated workers are more likely to have the resources to take time away from work to care for their loved one.26 Finally, more unpaid care providers participate in the labor force, which may be due to their older age, but more of those who work do so part time, which is defined as working for less than 36 hours on their primary job. Family caregivers often spend many years in these informal care arrangements, which frequently develop at a significant cost to their careers.28 For many unpaid family caregivers, these informal arrangements require the same amount of time per week as a job. The SIPP data reveal that 18 percent of those giving unpaid care to a household member spend 21–39 hours a week doing so, and 38 percent of unpaid caregivers spend upwards of 40 hours a week on this activity. Paid family leave may allow these unpaid family caregivers to keep working while caring for their family, with the ability to take off periods of time where more intensive caregiving is required, such as an acute medical issue for the person they are caring for. The introduction of a paid leave program is important to caregivers because it can allow them to take necessary leaves from work to carry out caregiving duties for their family members or close friends while maintaining a proportion of their earnings. Without these earnings, they would either not be able to provide care or they would need to withdraw from the labor market to do so. Following the implementation of CA-PFL, labor force participation of unpaid care providers increased by 8 percent in the short run in the 2006 survey and increased by 14 percent in the long run in the 2011 survey. Labor force participation of caregivers increased 8 percent in the short run and 14 percent in the long run. The increase in labor force participation was limited to women, who provide the majority of unpaid care to their families. Family caregivers from higher-income households had a larger increase in labor force participation than those from lower-income households in the short run, but in the longer run, the labor force participation rate of lower-income households overtook that of unpaid care providers from higher-income households. While there was an overall increase in labor force participation, there was a decline in full-time work as workers transitioned to part-time work and were still able to maintain their access to paid leave under California’s comprehensive policy.29 This decline in full-time work was larger for men as well as low-income households. Shortly after the implementation of California’s paid leave program, the full-time status of lower-income family caregivers fell by 20 percentage points compared with a 1 percentage point increase in the full-time status of lower-income people who were not caregivers. In other words, for lower-income people, those who were working full-time decreased to part-time while being caregivers. Higher-income caregivers had a 15 percentage point decrease in the rate of full-time work compared to a 1 percentage point increase for higher-income people who were not caregivers. Overall, our results suggest that access to paid family leave after the implementation of California’s paid leave program helped family caregivers balance their responsibilities in their families and their jobs that required necessary income to maintain their livelihoods. This demonstrates that access to paid leave is a crucial part of the ability to care for one’s own family beyond the immediate need to take time off with a new child. The ability to take time away from work to be able to care for a sick child, spouse, or parent is a vital part of maintaining attachment to the labor force for workers and strong labor force participation rates in the U.S. economy. As family caregiving needs increase with an aging population and as all people continue to need care at some point in their lives for illness, caregivers must balance both those responsibilities with their careers. Access to a paid family and medical leave program that provides for family caregiving will be crucial to their ability to do this. Increased labor force participation is a benefit to the entire economy, boosting earnings and aggregate demand as well as encouraging a dynamic labor market. The long-term decline in labor force participation of both women and men in the U.S. economy has been a cause for concern by many. Some have speculated this decline in participation is because we have hit a threshold where families cannot manage their careers and their caregiving responsibilities without adequate work-life policy, including paid family and medical leave.31 As our results show, when families do have access, they are able to increase their labor force participation. These positive benefits demonstrate that all people need a paid family and medical leave program that covers the variety of reasons people need time away from work to care for their families. A parental leave program is not sufficient for the broad caregiving needs of families. Not only is it essential to many families, but it is also important to the structure of our labor market that workers be able to take time off to care for a sick child, spouse, or parent, in addition to taking time off for a new child or one’s own illness. For the complete Appendix of this report, see the PDF. Joelle Saad-Lessler is an associate industry professor of economics at the Stevens Institute of Technology’s School of Business. A labor economist with expertise in econometric modeling, statistical programming and in-depth data analysis, Saad-Lessler has authored a number of publications on the economics of retirement, local labor markets, and the economics of immigration. She holds a B.A. and Ph.D. in economics from Columbia University. Kate Bahn is an economist at the Center for American Progress. Her work has focused on labor markets, entrepreneurship, the role of gender in the economy, and inequality. In addition to her work on the Economic Policy team, Bahn has written about gender and economics for a variety of publications, including The Nation, The Guardian, Salon, and The Chronicle of Higher Education. She also serves as the executive vice president and secretary for the International Association for Feminist Economics. Bahn received both her doctorate and master of science in economics from the New School for Social Research, where she also worked as a researcher for the Schwartz Center for Economic Policy Analysis.